Give Your Bedroom An Affordable Upgrade! If your bedroom has been the same for years now and you're just tired of it, there are plenty of things you can do to change it up, without having to drain out your bank account. As long as you're able to get creative and don't mind getting your hands a little messy - here are all the different things you can do to give your bedroom the makeover it deserves, so you can be truly proud. No one should have clutter in the room - it will make it look like a messy, unorganized space, and who wants that? So if you look around your room and can see bits of paper here, stationary there, and old mugs lying around on the windowsill - get it sorted. Once everything has been cleared, your room will have dramatically improved. If you're lucky enough to have a decent sized bedroom to work with, then your bed doesn't have to be pushed up against one wall because there are other areas it can go in without causing an obstruction. So if you're feeling rather flamboyant, why not move your bed into the centre of your room? As long as there's enough space to walk around it, then there's no reason you can't have it there. Another good trick is creating a little bit of space between the bed and the window - this will give you a secret spot where you can read without being disturbed. Sell or donate your clothes to clear up space in your dresser and closet. By going through all of your stuff, you will be amazed by all the clothes that you no longer wear, and probably never will. Getting rid of as many unnecessary items as you can will give you more room for the things that matter. Remember that artwork doesn't have to be expensive. There are plenty of stores (especially online) that sell art for very low prices, whether that be paintings, posters, or even small sculptures. Better yet, you could make it yourself. It'll give you a fun project to start and will also be rewarding to know that you created that piece of beauty hanging on your wall. Cover your walls with tapestries. If you'd like to bring an exotic vibe to your room, then tapestries are the way to go. They come in all sorts of colours and patterns so you'll have so much to choose from. They will add a bold statement to the room, as well as giving it an air of travel and adventure. Even just opting for new bedding can change the style of your room. Why not treat yourself and start looking at some sheets online. There are sites that provide you with the best Egyptian cotton your skin could ask for. Then you can find some funky bed set designs to bring your room to life. If you have drawers that are killing the modern look you're trying to achieve - throw them out and shop around for something more fitting. A good idea is to find smaller furniture that has multiple different functions. Like drawers that can also be used as a nightstand, or even a chair, or storage box. Dust is something that is inevitable. But that doesn't mean you should get lazy and let it build up - because it will. It's important to regularly dust around your room, focusing on the top of surfaces like the windowsill, the wardrobe, and the drawers. Dust also likes to collect around the TV and wires, so make sure you get around them too. Add some patterned wallpaper or colour to your furniture. If you're looking to add some pops of colour but aren't sure how to make it work, you can consider getting wallpaper (or paint) and using it on unlikely areas for that bit of quirk. Why not coat your door with some 3d effect wallpaper to add some illusion to the room? Or float around with a paintbrush and colour whatever you feel like. This could be the door handles to your furniture, or your entire wooden bedside table. Pack up your non-seasonal stuff. If you have a lot of items that aren't relevant right now because they're only used in the summer, or vice versa - pack them away until you need them again. There's no point taking up vital room when you don't need to. If you’re worried about putting them in storage boxes and risk pests messing around with your things, add a few cedar balls, and some desiccant control packets will stop the humidity from getting in. Mount furniture onto the walls. If you're any good at handling tools, one unique way to give your room some style as well as creating more space around you, is to mount furniture to your walls. So for example, if you have a table that just gets in the way but it’s used to hold your jewellery, or lamp, or books - throw out the table and put up some floating shelves instead, or jewellery hangers. You can never have too many plants. They bring life from the outdoors and provide you with some stunning nature. Not only do they look pretty and smell divine, they even purify the air you breathe, while keeping the balance of the environment. The power lighting has over a room is immense. It can totally change the mood and atmosphere just by the kind of bulb you have. If you're looking for more of a sultry feel, then use a lamp to give off a subtle glow rather than a bright main light, or add a few candles on your dressing table. If you want to create more of a fantasy feel - scatter some fairy lights around the headboard of your bed, or around your window. As always don't forget to share and subscribe! Until next time thanks for reading! A overly caffeinated Financial Broker by day, a chilled rose' sipping mompreneur by night. I am passionate about being the Creator behind this blog, Host of the Emma Dawn Podcast, Author of the healthy toddler inspired recipe book Milo's Meals, and Zyia Active enthusiast. All while stumbling through mom life as a solo parent. 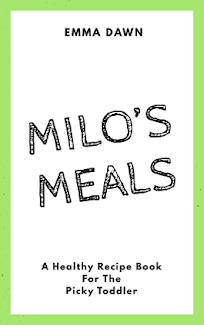 My first book Milo's Meals is a compilation of my son Milo's favorite healthy toddler recipes! Get your copy in paperback or in a handy ebook. 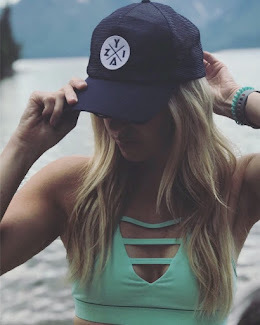 Shop the official premium apparel partner of the Utah Jazz Dancers, or join my team earning an income while looking fashionable and living a healthy lifestyle. If your Zyia Active wishlist is bigger than your budget take advantage of the online party host rewards. DM me on instagram for more details. Give your child the educational boost he/she needs to be ahead of the game! Emma Dawn is a participant in an array of affiliate marketing programs she believes in. Programs designed to provide a means for sites to earn advertising revenue by ad placement and commissionable links at no extra cost to consumers.